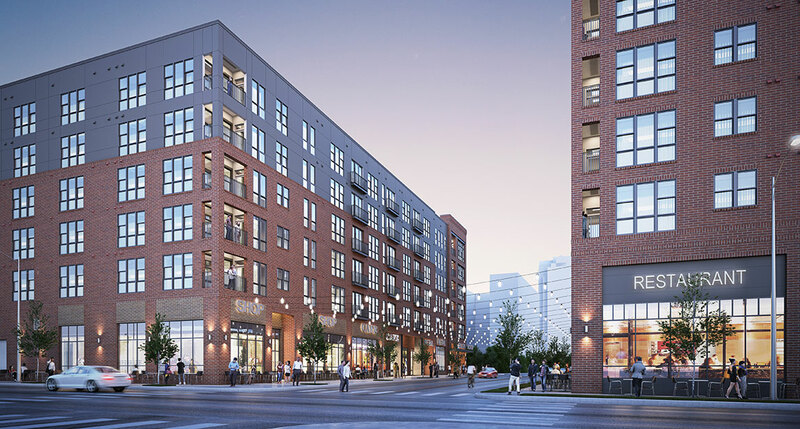 Raleigh development firm Kane Realty Corp. has announced its first major retail tenant for the 18-story The Dillon mixed-use building that’s under construction in downtown. Urban Outfitters, the flagship lifestyle apparel brand for a portfolio of fashion retailers, has signed a commitment to open a new store at The Dillon in 2018. Urban Outfitters’ sister brand, Anthropologie, already has a store at Kane Realty’s North Hills development in midtown. “We believe Urban Outfitters will lead the way in retail growth in downtown Raleigh,” Kane Realty CEO John Kane said in a statement. Kane’s leasing team is said to be in final negotiations with a number of top retail and restaurant tenants for the new building on West Street. The first phases of the office and apartment spaces are on track to open in February 2018. Urban Outfitters has a store in the Triangle already at The Streets at Southpoint mall in Durham, but The Dillon store will be its first in Raleigh.